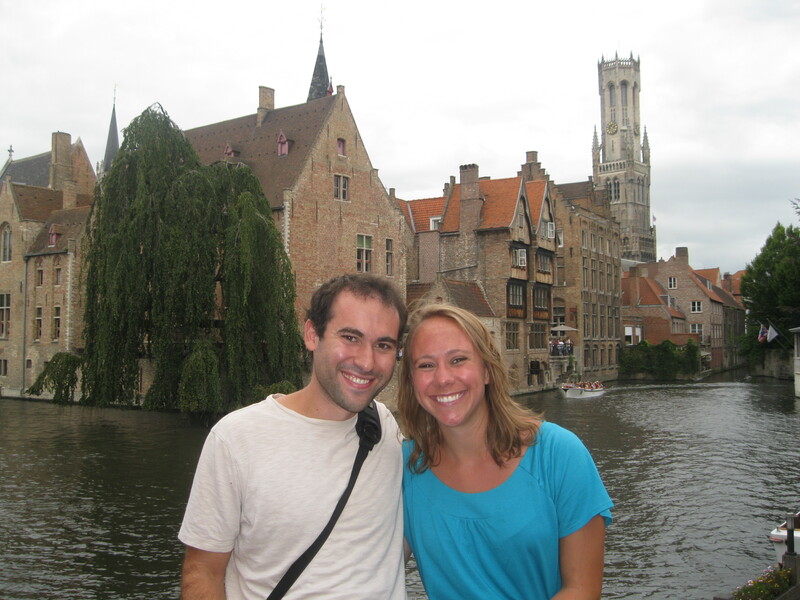 There are some cities that I’d rather visit with a man than my sister. Bruges is one of them. Picturesque canal rides, outdoor orchestra concerts and small romantic bars make the small town a perfect honeymoon destination. So, at a hostel in Prague I adopted a male friend who was also keen on good cheap beer and chocolate and we ventured into Belgium together. It’s a small town but definitely worth a 24 hour visit. We found lots to love. Luckily Justin is a talented photographer so there will be an uptick in picture quality in the next few blogs. 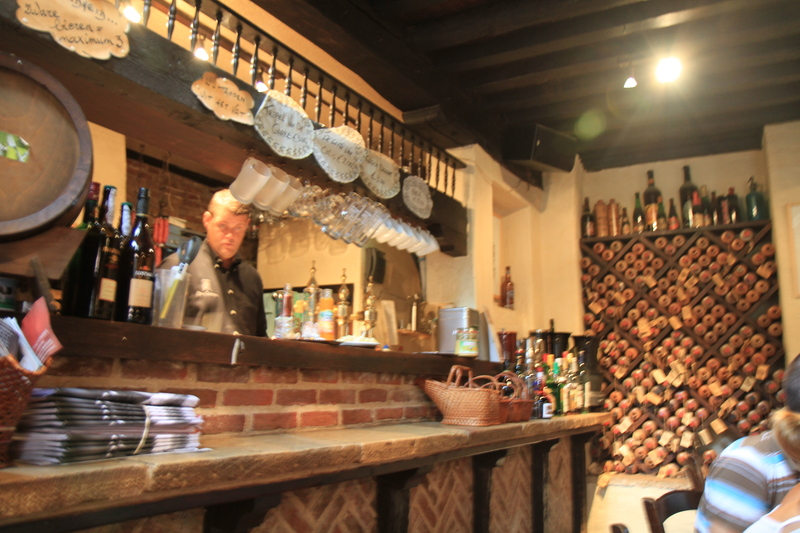 Garre bar with its collection of 19th century rum bottles stacked in the side wall. This bartender knew us well after we visited three times in one day. 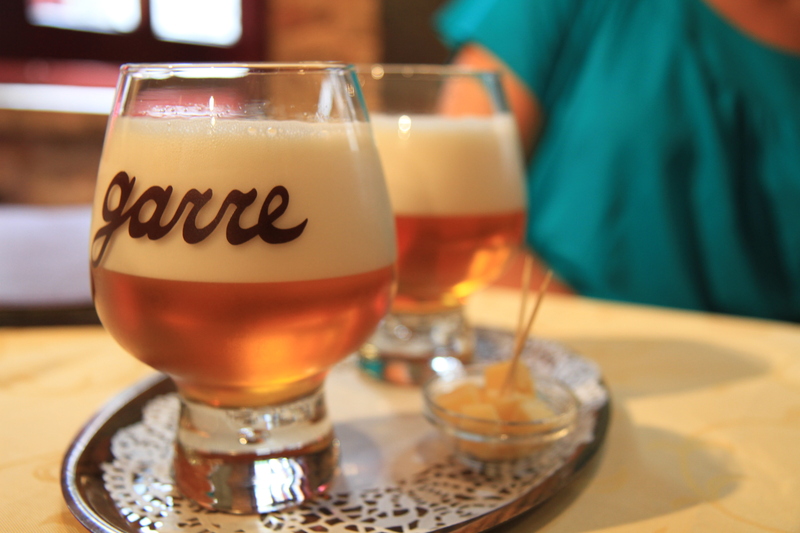 I have long been a mass consumer of the likes of Chimay, Duvel and Leffe so I entered Belgium eager to find more palette pleasers on the cheap. In a hidden, unmarked, narrow alley near the city center, I found a bar and a beer that far surpassed any of my Blonde Aled dreams. This low-key local spot serves one namesake beer that is impressively smooth and delicious considering it has a 12% alcohol content. Just don’t get too hooked. You can only have three before they cut you off and the don’t sell the beer anywhere outside the bar walls. We met the maximum. An orchestra member playing drums in the beautiful Marketplace. Every night in the summer an orchestra plays live music in the town marketplace. Grandstands are set up around the stage so you can grab a chocolate waffles nearby and sit and watch a few songs. We were even treated to New York, New York in Dutch! Getting some International trivia competition over a few pints at a Belgian beer serving Irish pub was a perfect way to spend our Sunday night. Unfortunately the first round was devoted to celebrity deaths and we were pathetically unaware of demise facts, such as Bob Marley died from cancer, Ottis Redding went down in a plane crash and Lisa “Left-eye” Lopes met her end in a car crash. After round one we fared well but came in 4th behind a few British and German teams. We’ll be practicing to better represent the USA next time. Canals wind all over the city. Explore them on bike or boat. I would like one retreat home here, please. Yeah you can see canals in Venice but good luck maneuvering through the swarms of tourists there to get a moment by yourself. And Amsterdam has them but you have to deal with the stumbling, munchies-ridden masses there too. 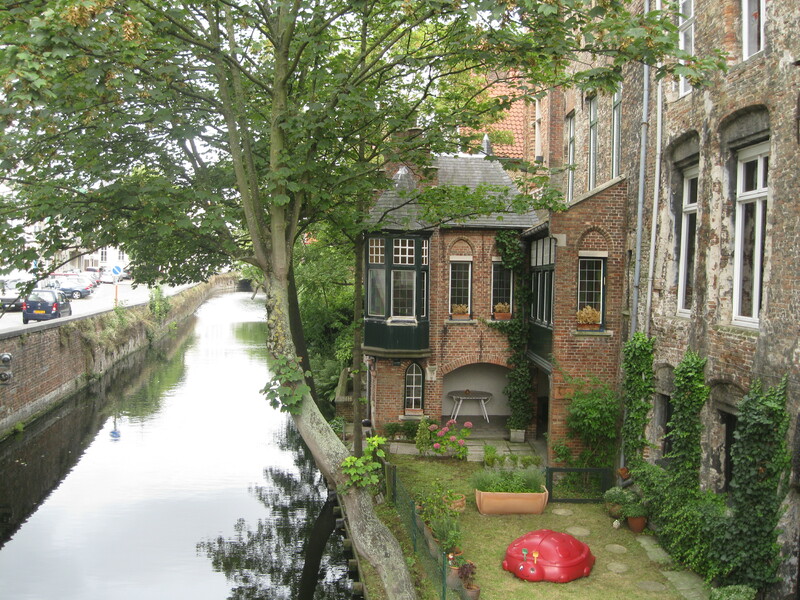 For some private time on the picturesque waterways, Bruges tops all. 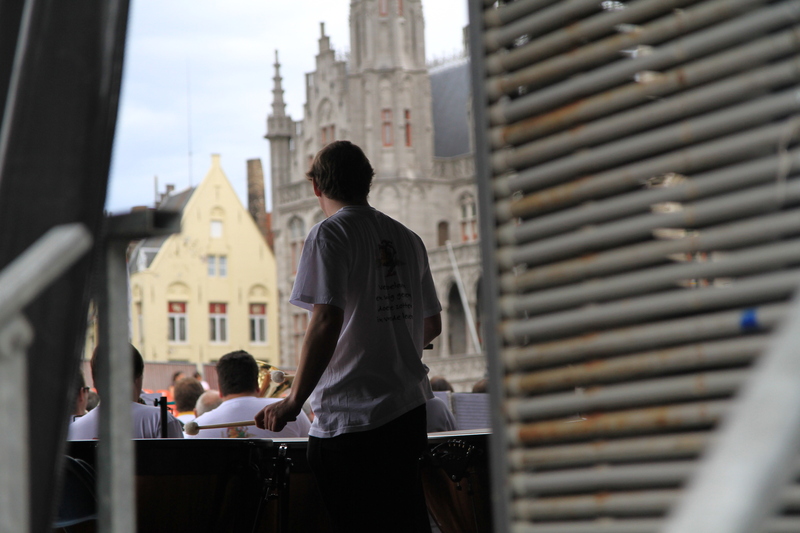 This entry was posted in Belgium, Tales of Males and tagged beer, Bruges, Bruges orchestra, Brugge, canals, chocolate, Druid cellar, Garre bar. Bookmark the permalink. I cherished what you have got performed here. The format is stylish, your written materials elegant. Nonetheless, you’ve got obtained an edginess to what you’ll be offering the subsequent. Ill undoubtedly arrive back once more yet again for a good deal very much extra in case you safeguard this up. Dont do away with hope if not at the very same time many men and ladies see your imaginative and prescient vision, know you might have attained a fan suitable the subsequent who beliefs what you could have received to say along with the way you’ve got presented by your self. Very superior on you!